Ask Yourself…Am I Where I Want To Be? Today ask yourself this one question. 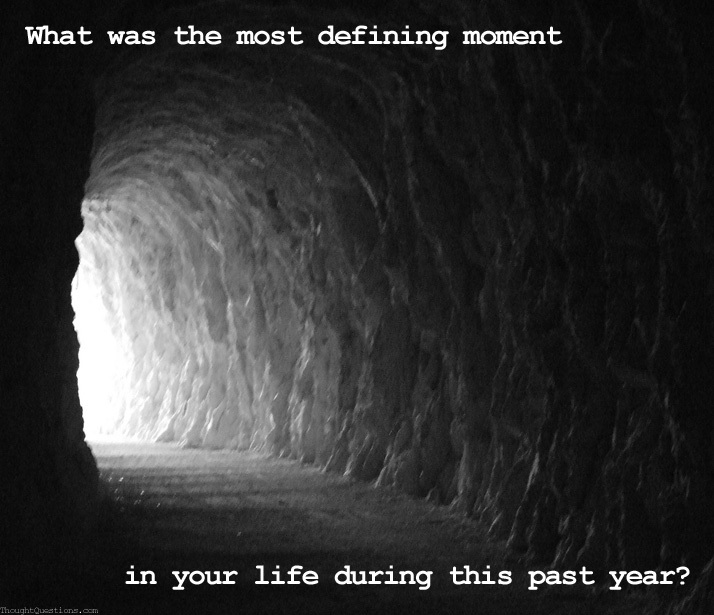 What was the most defining moment in my life during the past year? Am I where I want to be? Am I where I set out to be twelve months ago? These questions can be overwhelming. Sh*t let’s face it, the end of the year can be overwhelming in general – holidays, resolutions, presents, pressure, parties and so on. I started to feel that pressure and then I stopped, dropped and journaled. Laugh all you want, but when I can put my thoughts on paper (I am a writer for crying out loud) I can see everything more clearly. I can put everything into perspective. I can clear out the fog my ego is trying to impose on me and look at everything the way it is and accept it with love. Let me break this down for a minute: I don’t like resolutions. I like good intentions. I like positive intentions. Long term intentions, short term intentions – whatever is your cup of tea. There’s a stigma attached to “resolutions” and it stresses people out because it’s about finding a solution. But sometimes we aren’t mean to find the solution. Sometimes we’re meant to plan with purpose and let it unfold how it’s supposed to unfold, naturally. We aren’t meant to be stressed, we create that in our own lives. But when I started 2014, I did not know where it would lead me and I did not know where I’d end up. Let’s face it, I had absolutely NO IDEA I’d be where I am today. I am grateful, I am thankful and I am humbled at how supported I am by the Universe. But a lot of people don’t view life in that manner. You were raised with a paradigm of thinking success = money. You were raised with the idea that life just IS suffering and hard work and little fun. You know I always keep it real, I was raised with that paradigm too. We can’t place blame though because until people are awakened to truth and spiritual enlightenment, they only know what they were brought up with. This spiritual truth is that we aren’t here to suffer. We aren’t here to live in misery. We weren’t put on Earth to just work hard and pay bills. This spiritual truth says we were put here for a purpose. We each have a purpose. We were meant to thrive and be happy. We are gifted with abundance if we tune into it. We have access to everything we desire…IF we tune into it. 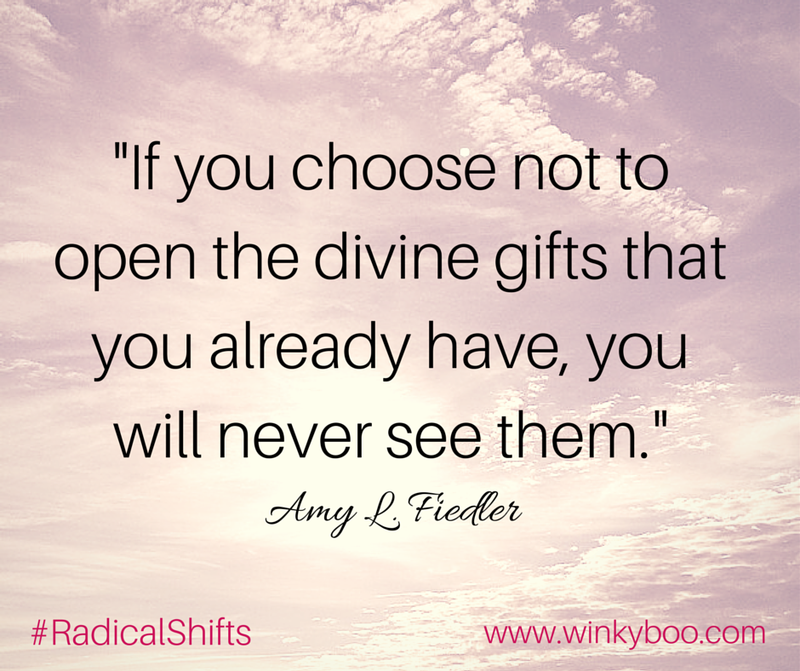 If you choose not to open the divine gifts that you already have, you will never see them. Our parents were raised by their parents, raised by their parents and so on and so forth. As author Pam Grout says, “You can’t tune into NBC when you’re watching ABC.” They were brought up on that channel of thinking in that way. They were set on that frequency from childhood and unless they dove into their spiritual journey, broke through the blocks and the barriers, they stayed on that frequency. I like to tune into a different channel. Trust me, I’ve been told I have no idea what I’m talking about throughout the years – even by people close to me at times. I’ve been told I’m crazy for thinking this way and I’ll know better when I get older. But let me put it to you this way – that channel sucked. I didn’t like it, so I changed the channel of my life and I haven’t looked back since. I tuned into a different frequency and the miracles have NOT stopped unfolding since then. YES, we have the ability to do that. So let me get back to the original question: Are you where you set out to be right now? Is the answer No? Does that piss you off? Are you unhappy? Do you want more? Go freakn’ get it! No one is stopping you. You have the power to do what you CHOOSE to do. If you want a different life, get one. If you want a different job, get one. If you want a different mindset, GET ONE! It all starts with you. The funny thing and it’s really not so funny is that fear plays a HUGE role in why people choose the unhappy route. Fear is self-induced though. Fear stems from our ego, our human body that tries to convince us it’s separate from our spiritual being. Our ego wants us to think we have to suffer and we’re delusional if we believe otherwise. We all have a spirit. Even if you don’t “believe” that, your spirit is still inside you – it’s not going anywhere even if you don’t acknowledge it, it’s just going to sit and wait and most likely try to catch your attention so you finally recognize it. Spirit knows we are loved and fully supported when we CHOOSE the channel that brings us joy. Did you choose a joyful channel for 2014? If you didn’t, the good news is there is no time limit on changing that channel. You can do it right now if you want or since us humans love a good “resolution”, go ahead and wait until the New Year. But no matter what you do, choose the channel that brings YOU joy. It isn’t going to be the same channel as your mother or father or brother or sister or best friend or uncle or crazy cousin. It is your life, your journey and your purpose. Your purpose here is to be happy and know you are fully supported in that. As long as you are happy the Universe works to constantly provide you with all you need. So don’t wait any longer to live the life you were MEANT to live. 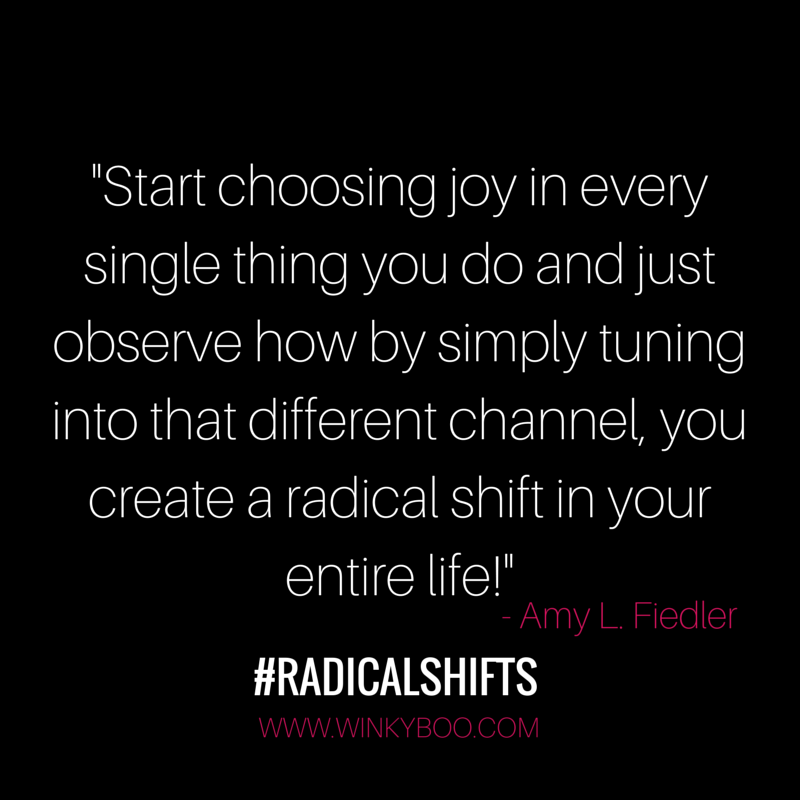 Start choosing joy in every single thing you do and just observe how by simply tuning into that different channel, you create a radical shift in your entire life! Amy L. Fiedler is a Certified Holistic Life Coach, Spiritual Mentor, Ordained Minister and Reiki Master of Natural Healing. 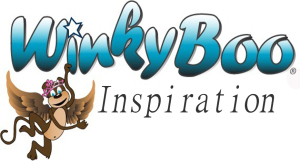 She is the founder and head guru of Winky Boo ® Lifestyle + Life Coaching. Amy guides clients through one-on-one transformational sessions helping you move from fear to love by breaking through your blocks to co-create the life you’ve always dreamed of. Amy uses a holistic method guiding and teaching you with what she calls “practical spirituality” for the spiritual, non-spiritual or even the anti self-help folks. Her intuitive and practical approach gives you honest and authentic advice with simple ways to radically change your life.